The Finance Committee is made up of Council members assigned by the Council Chair. 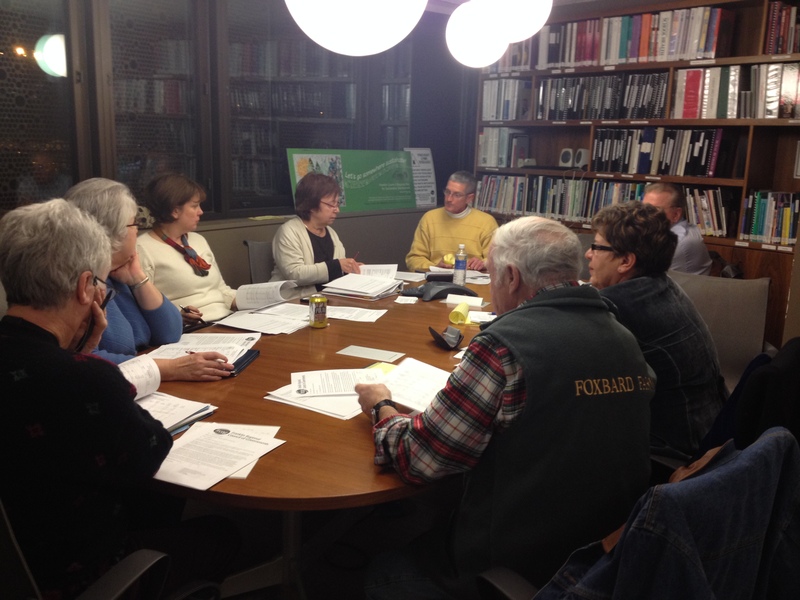 The Committee is responsible for creating and overseeing the FRCOG annual operating budget and related functions. For upcoming meeting agenda, click on name of meeting next to date and time to the right. The FRCOG Finance Department staff began working with the Finance Committee to develop the budget in September 2018. After several months of assessing programmatic, agency-wide, and town needs, the Committee recommended the FY20 budget to the full Council on January 24, 2019. The Council adopted the budget that evening, making it the plan of record for the coming fiscal year, beginning July 1, 2019. The approved budget can be found below, along with the FRCOG Program Updates, which include a section summarizing the budget presentation. After months of working with FRCOG Finance Department staff, the Finance Committee recommended the FY19 budget to the Council in January 2018. That night the Council adopted the the budget making it the plan of record for the coming year. Fiscal year 2019 begins July 1, 2018. The budget, budget notes, and the more accessible Fiscal and Program Review can all be found below.